Blue Sky Disney: Will Wall-E Clean Up Overseas? Andrew Stanton's "Wall-E" should top 200 million by this coming weekend in domestic box office, but what about overseas? The international market tends to be much bigger than here at home. Bob Iger and his marketing gurus know this and are working on a staggered release for the little fella. Will the little robot do better than Remy in "Ratatouille"? I'm surprised more hasn't been made of Wall-E's box-office performance. Wall-E's domestic performance has been a disappointment. There, I said it. If you look at the day-by-day comparison on boxofficemojo, you'll see that while it had a great first week, since then it has performed below not only Cars and Ratatouille, but even below Kung-Fu Panda. I won't be surprised if Kung-Fu Panda edges it out as the #1 animated film of the year/summer. This has to be considred at least a mild disappointed given all the critical attention and praise the film received. I think there was alot of hope that this film would be the next great Pixar blockbuster, reversing the trend of diminishing returns. It should still make more than Ratatouille, but maybe not much more. And now that Dark Knight has completely taken over the spotlight in terms of media attention, you can probably say good-bye to any hopes of a Best Picture Oscar campaign. Is this a big enough of a success for Lasseter to continue his rise in influence? I don't know. I will be curious to see how things pan out. Add this to the huge disappointment of Prince Caspian, and the summer has not been good to Disney. I agree with your assessment on its box office receipts. However, I don't think it will hurt Lasseter much -- the film is still a success. 2. The anti-intellectual response/criticism to this film has been mind-boggling. I never in my life thought I'd hear such a critically praised, ignorati-reviled ANIMATED film. People actually are offended by the film's bold choices of turning humans into fat, baby-like blobs who don't think or do anything for themselves. I personally loved this aspect, as I can't stand anti-intellectuals (I wish I could, but I can't -- not gonna lie). It looks like Wall-E is headed somewhere around $210 million domestic. It will probably edge out Kung Fu Panda by $1-2 million. I think this is what we can expect from Pixar these days. $200+ million domestically and between $300-400 million foreign for a worldwide gross of between $500-$600 million. Now that Pixar is releasing a film a year I don't think the demand is quite as strong as it was earlier. What is more disappointing is that Pixar's costs have increased. They need to watch their costs or they could end up in trouble. Wall-E and Ratatouille are PIXAR's best films. They are riskier, more thought provoking, and more mature. They are more similar to Hayao Miyazaki's (Spirited Away, Howl's Moving Castle) works than the Shrek films. Sadly, Americans can't take animation seriously. People need to get a grip with this "imminent Pixar demise" attitude. Yes, its box office performance has not been as great as Disney/Pixar followers have hoped. We predicted upwards of $250 million, and certainly thought it would top Kung Fu Panda by miles, especially after being so critically acclaimed. Let's get that out of the way now. But you have to understand - Pixar is still making money with their films. No matter how you slice it, Pixar has stayed consistent in making wonderful stories which are critically acclaimed and they still make a profit - which is hard to do in this business. They will make over $200 million again for the 7th film in a row. People seem to forget that. Bolt sounded terrible just a few months back; now after ComicCon I've been hearing people actually "looking forward" to seeing it. When was the last time you heard that about a Disney Animation Studios film? I'm not saying Pixar is immune to failures at the box office - their $200 million streak could very well end next year with the seemingly hard-to-market "Up." But they have been a solid performer at the box office up to this point, and people can always count on the quality of their films to be high. And now people are talking about losing faith in John Lasseter? You have got to be kidding me. Plus - it will be a sad day in the entertainment business if Pixar ever sells out and starts to go down the route Dreamworks and other studios take in trying to make films that are always targeted at entertaining kids only and taking very few risks for fear of "alienating some audiences." That's what makes Pixar special. I'll be dagnabbed if they ever stop just because their most recent film made a "mere" $200 million. As John Stossel says, give me a break. Please do not overstate what I said in my original post. I have not lost faith in Lasseter. I do not forsee the "demise" of Pixar. I simply stated that Wall-E has not lived up to some of the expectations that were placed on it. It is a hit, no question. It will make alot of money for Disney, absolutely. It will win awards, yes. But it has not done everything that was hoped for. The "hope for" for any Pixar film is that it will sell tickets like Nemo (or at least Incredibles) and sell toys like Cars (or at least Toy Story). It looks like Wall-E will fall short on both counts. I have great faith in John Lasseter and I hope he continues to exert his influence in the parks as well as the studio. But the expectations for Pixar are very high, and I don't know if a consistent run of $200 million hits will cut it -- and I realize how silly that sounds. Ratatouille made just over $200 million and didn't sell alot of merchandise. Iger decided it wasn't a "franchise", i.e., you won't be seeing rides and attractions in the parks based on it. Well, Wall-E won't do a whole lot better. The rumor is floating on different message boards that Wall-E and the Buy N' Large are headed to Tomorrowland. You think that will still happen now? I hope so, we'll see. I too am disappointed by all of the criticism, because I really do think the perceived environmental message that is embraced by one side and condemned by the other side is truly incidental to the real story about the importance of human relationships and how we lose touch with ourselves when we get distracted with all of modern life. In other words, people who focus on the environmental aspect of the film, either positively or negatively, are really missing the forest for the trees. It's funny you should mention the "human element," as I was speaking to a friend of mine about the importance of John and Mary touching hands (and the overall importance of that -- via WALL-E and EVE through Helly, Dolly). I also just watched City Lights (Charlie Chaplin) and was surprised to discover how much touching hands is integral to that film, as well. It drives me absolutely batty that people are all up in arms about "fat, blobby babies," when the more important message is humans genuinely and sincerely interacting with each other and the fact that WALL-E (a ROBOT) is more capable of such interaction than anyone at the outset. 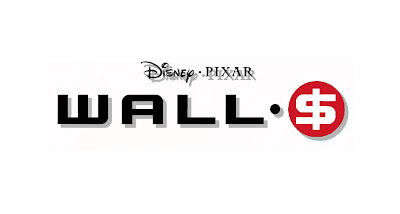 Can you imagine if “Cars”, “Rat”, “Wall-E” and “Up” were Pixar’s only films? What an odd body of work it would be, indeed. There could be some concern if “Up” delivers the same kind of esoteric fare it’s suggesting. These films are quite different from Pixar’s “earlier funny films”…(just ask Woody Allen)! "I just frankly did not enjoy Wall*E that much." It (obviously) all comes down to a matter of taste. This film is much more like a Miyazaki film (to me, specifically evoking the beautiful silence of the "cat bus stop" scene, where there is no dialoque for several minutes). This is a movie that requires a lot of investment from the viewer. It assumes that you'd enjoy silent films or esoteric visual cinema and/or sci-fi. And I must admit that while I (still) haven't seen Kung Fu Panda, WALL-E is the first film since The Incredibles (and before that, The Iron Giant) that doesn't pander one bit to its audience, something I have a hard time believing KFP is capable of (just from seeing Po sit on Tai Lung's face -- so juvenile, and typically Dreamworks, that it was embarassing to watch). You ask whether or not we think Wall-E will be present in Tomorrowland because it "only" made $200 million domestically? Of course. Why wouldn't they try to draw people in with a character that, despite the critics, can still be considered beloved by a vast majority of people? You have to remember that Disney did not purchase Pixar with the expectations of $300 million each movie. They purchased the talent. They purchased Lasseter and Catmull being in charge of all creative aspects for the company. Again, I point to Disney Animation's upcoming slate of films. The quality definitely looks a step up from the Home on the Range/Chicken Little Days. And hearing the Disney directors talk about working under Lasseter - they love it. And that will most likely show up in their work. And anyway, who would Iger put in charge of creativity if Lasseter's mantra of "quality" is not netting them $300 million films every time out? Is there someone else out there who has ran a studio that has produced seven straight $200 million films? Adjusted for inflation, actually, all Pixar's films have been bonafied hits. I personally would rather see a studio swing for the fences all the time rather than swing for base hits. Sure, Pixar doesn't connect for the home run all the time, but it seems they connect for something all the time, and a double is nothing to sneeze at. And if they miss sometime, so be it. I'm still more comfortable with creative folks in charge of the creative side rather than have the suits who are only in it for the profit in charge. Because you get cookie-cutter movies that are eventually destined to fail (see: Disney in the mid to late 90s). Disney is in good hands. No need for the doom and gloom. @anonymous who said "These films are quite different from Pixar’s “earlier funny films”…(just ask Woody Allen)!" Why would we ask Woody Allen? What has Woody Allen done for Pixar? Actually Honors numbers for international are inaccurate, the last time boxofficemojo.com updated its international numbers were on July 7th 2008 Wall-e has opened in other territories since then but we have no knowledge untill a website or an article will enlighten us to the true numbers but the 3 million is 3 weeks old... i venture to say wall-e will do better than cars internationally and bring in the 200-million range... Keep in mind Japan loves disney animation and other territories are strongholds as well... Time will tell! but wall-e should bring in around 220 million domestic, 180-200 international... it will probably be the 5th largest film of the year domestcially which is a great feat. I have no doubt the movie will perform well, I'm just wondering if it'll do Remy-sized business... and just so ya know, I want it to. The more success it has, the more clout Lasseter has. And I want that because it's good for him, the Mouse and us fans as well. "Why would we ask Woody Allen? What has Woody Allen done for Pixar?" Woody Allen was told by aliens in a dream sequence from "Stardust Memories" that they "really liked his films, especially the earlier funny ones". Just drawing a comparison between Pixar as an artist and Woody Allen...their film paths seem to be heading in a similar direction. Just an observation. Perhaps not the right venue for this sort of analogy. I think Wall-e might creep up on Finding Nemo if the numbers keep going up like this. You all are worried for nothing if you ask me. I saw it opening day with little kids, and let me tell you they where going nuts for this moive. I just saw it last week for the 3rd time, sure it was packed like day one, but there was still a fair number of people that came to watch it and the kids just sat there in awe and wonder. I can tell you from experince, they loved it. This movie will surprise us in a posstive way. Also I aggree about people taking an envormental message, political, health, etc message out of of this film, it's about the love story between Wall-e and his quest for Eve. I just don't see what's to get worked up over it. The directer said it him self. He didn't go out to make any of those kinds of movies, if you get that message out of the film, good for you, you found something for your self out of it. Again, I enjoyed it more for it's love story beyond anything else. The holding hands thing was genius.